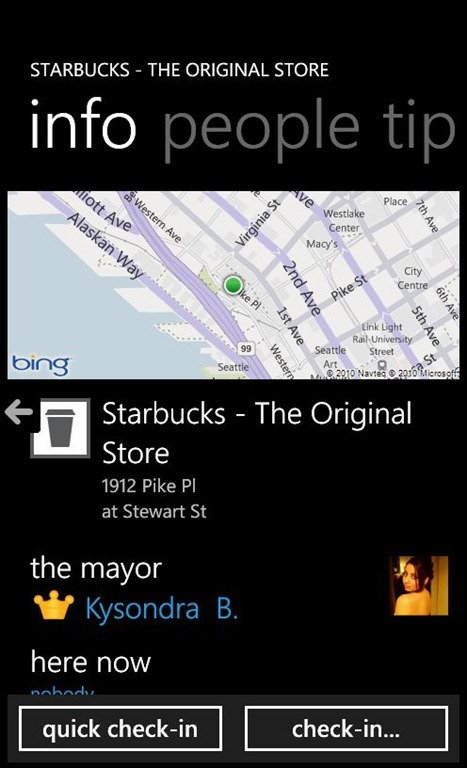 Many, many other improvements and bug fixes â€“ thanks for the bug reports! 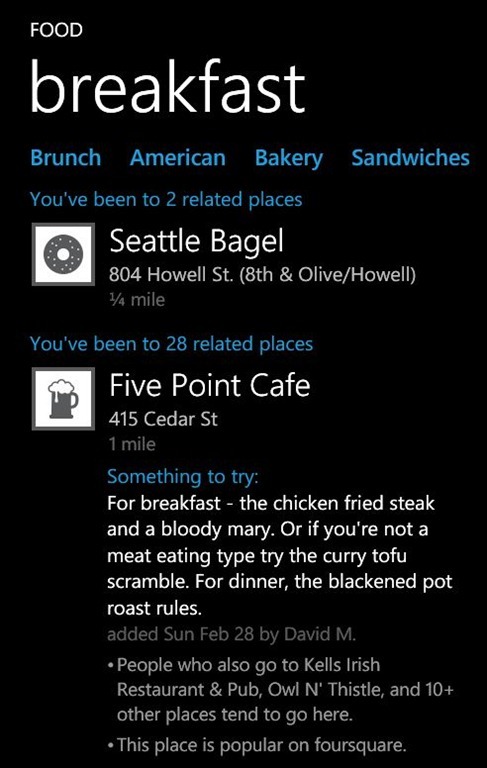 Updated to work with latest foursquare services. 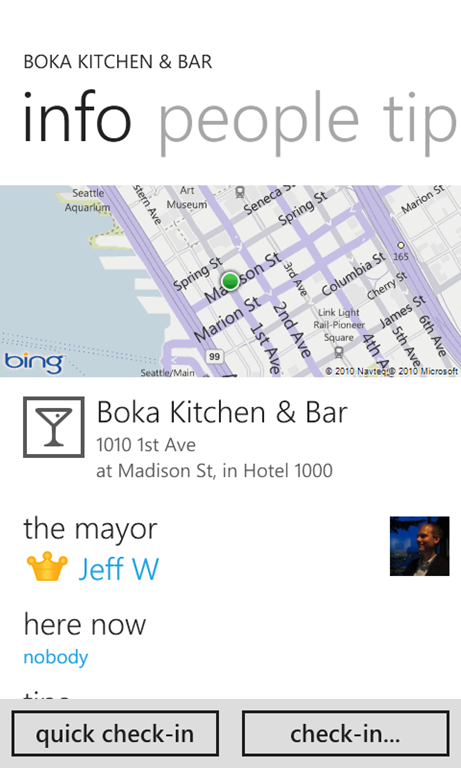 Adding a place/venue bug fixes. 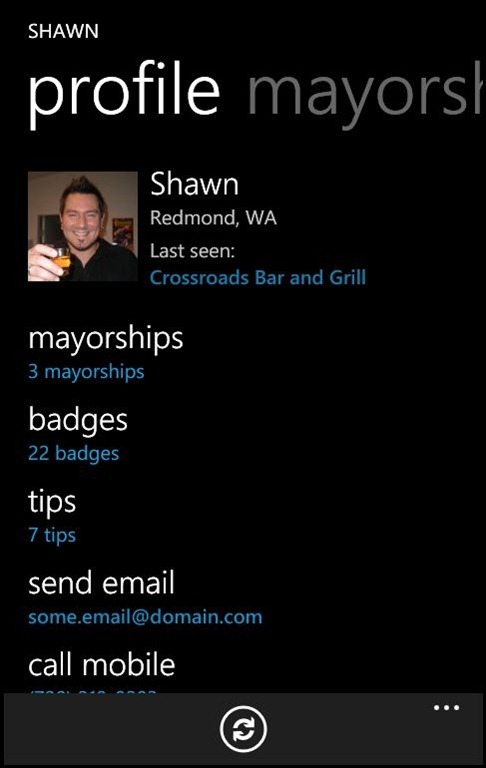 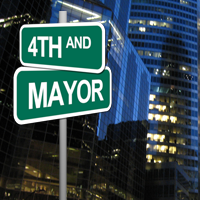 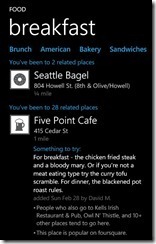 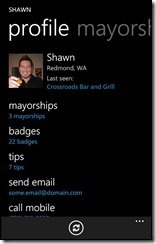 4th and Mayor is the ultimate Foursquare client for Windows Phone, created by Jeff Wilcox in Seattle. 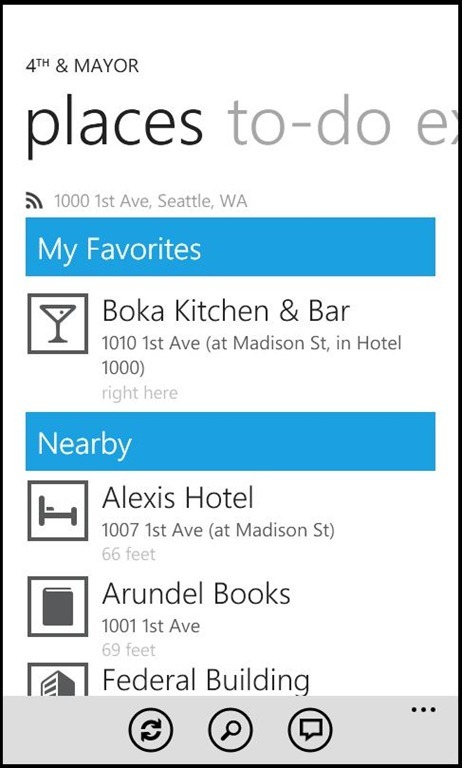 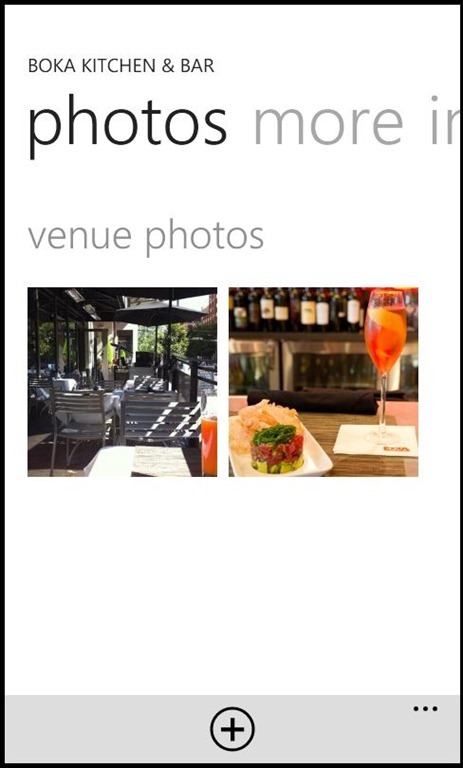 Enjoy foursquare even more thanks to a fresh user experience and interface that works the way your Windows Phone intended. 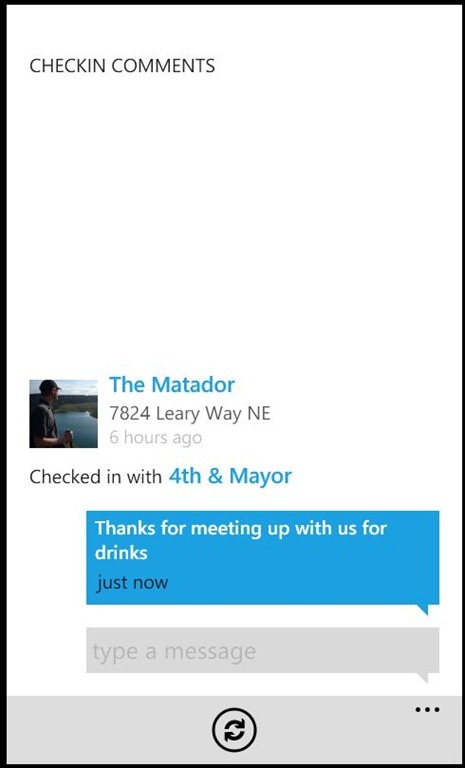 This application uses the foursquareâ„¢ application programming interface but is not endorsed or certified by Foursquare Labs, Inc. 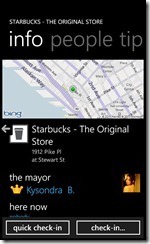 Written by: Hyde13 on July 15, 2011.